By 1300, England and other West-European countries had undergone a significant degree of commercialisation. 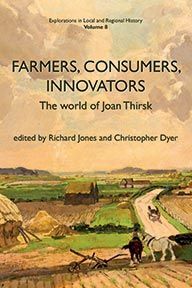 More and more communities, both urban and rural, depended on an efficient network of local markets to obtain the goods they needed, in particular for their food. Yet in spite of this, some landed lords and, most notably, monasteries and convents continued to rely on the produce of their own estates, even though there were significant costs and risks associated with the production, transportation and storage of their own food. 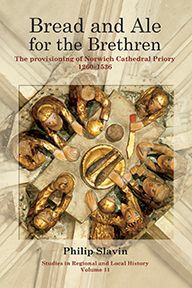 Philip Slavin sets out to account for this puzzling situation through an in-depth study of the changing patterns and fortunes of the provisioning of Norwich Cathedral Priory between c.1260 and 1536. Close analysis of contemporary archival sources reveals that the Priory made a deliberate choice, dictated by various economic, social and environmental factors and which, altogether, made isolation from the market a profitable, and very rational, option. This is a new sort of estate study that considers questions of both production and consumption as well as health issues, including the problems of overeating and obesity occurring in late-medieval monastic populations. Particular attention is given to the production, transportation, storage and consumption by the Priory household of grain-based products. In the late-medieval period, grains were the single most important component in the daily diet, for both commoners and the higher echelons, accounting for between 50 and 80 per cent of total calorific intake. 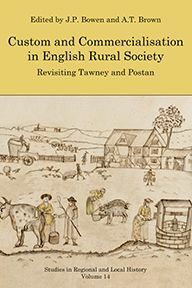 Although focusing on one specific region, this is more than just a regional study, analysing as it does a microcosm of the late-medieval English economy and society at a time of political, socio-economic and biological shocks and crises, including years of bad weather, famine, pestilence (both human and bovine), warfare and revolts. 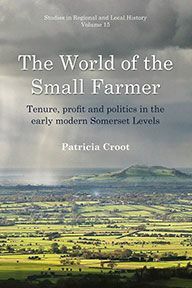 The study of the food supply of late-medieval conventual households sheds much light on the wider process of decline and eventual collapse of direct demesne management in particular, and feudalism in general, in the post-Black Death era. 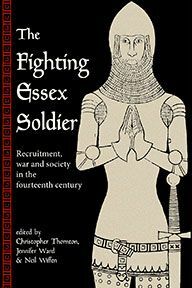 Philip Slavin is a lecturer in the School of History at the University of Kent, specialising in late-medieval economic, social and environmental history.